The Patriots held their Super Bowl LI victory parade on Tuesday at 11 AM EST, and it was a great time all around. 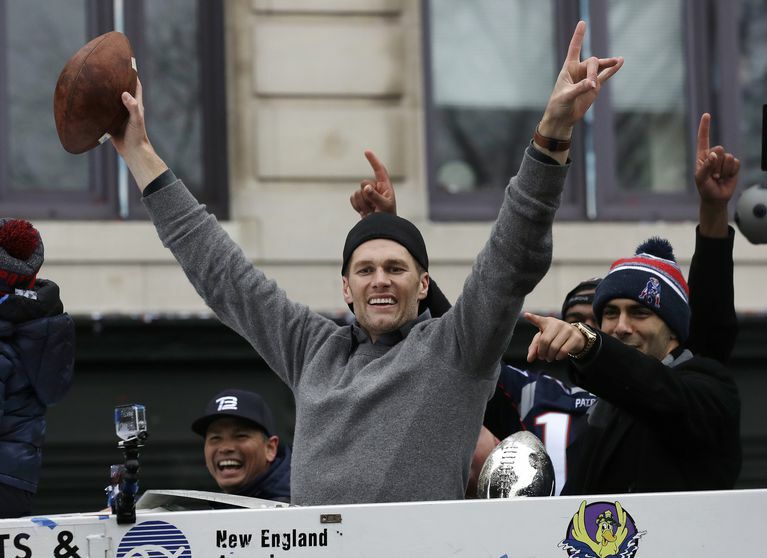 According to CBS, over a million fans were in attendance to watch Rob Gronkowski & Bro Co. chug some beer and laugh at some 69 jokes, Bill Belichick get excited about working around the clock (as usual), and Tom Brady hold the Lombardi Trophy high from City Hall Plaza. Check out some of the highlights below! LOUD "Roger! Roger!" chants in front of Brady's boat. It's been a wild ride over the past couple of days for Pats fans everywhere. In true Belichickian fashion, there's a time to soak it in, and a time to get back to work. Today? Let's just say it was a little bit of both--but maybe one more than the other.